Grumbling about or showing an inclination to talk more than passingly about the weather is such a common trait among people from the UK that it has developed into an international stereotype (along with the fact that we drink tea at any possible opportunity). It’s interesting to note that, when compared to many other countries, our climate is actually one of the most agreeable on the planet. But enough of the science, let’s have a cup of tea and talk about that rain! For those parts of the country that got the recent rainy weather, and that was most of them, it was a pretty heavy storm even by UK grumble standards. Residents in flood-prone areas, many of whom had only just got their homes back to a habitable state, watched the sky anxiously through the night as the rain continued. The rain, as it always eventually does, stopped falling and we all went back to our cups of tea, grumbling about it. What many people may not realise is that, while the rain has gone, the damage it has done remains and continues to worsen. 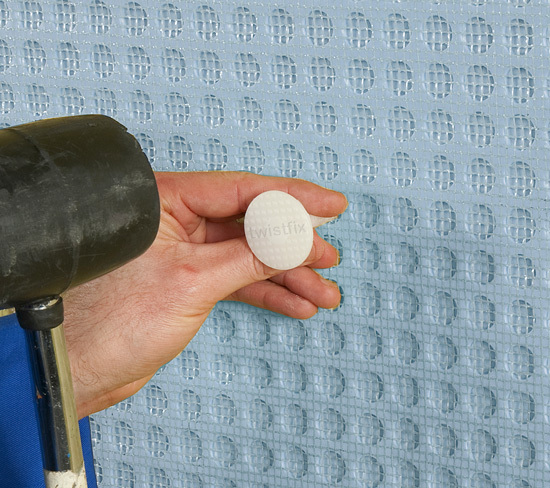 Here at Twistfix, we always try to tailor our special offers to the events of the moment and the Damp Check Mesh Membrane Kit is currently available at an even more competitive price than usual. 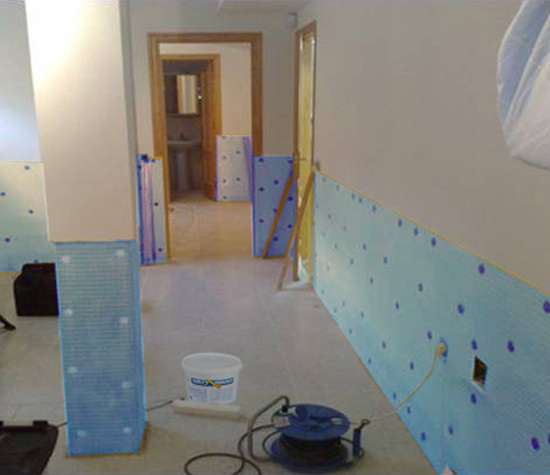 A membrane is the only viable method of immediately reinstating wall plaster after a remedial DPC injection, the alternative demands an interval of weeks before plastering is permitted to ensure compliance with British Standards and ma­­nuf­­ac­­turers’ BBA cer­­ti­­ficates. The mesh face of the membrane will readily accept tile adhesives, cement renders and plasterboard dabs while the reverse side comprises stand-off studs with air-gaps between; this latter combination ensures water drains away behind the membrane while still allowing the wall to ‘breathe’. 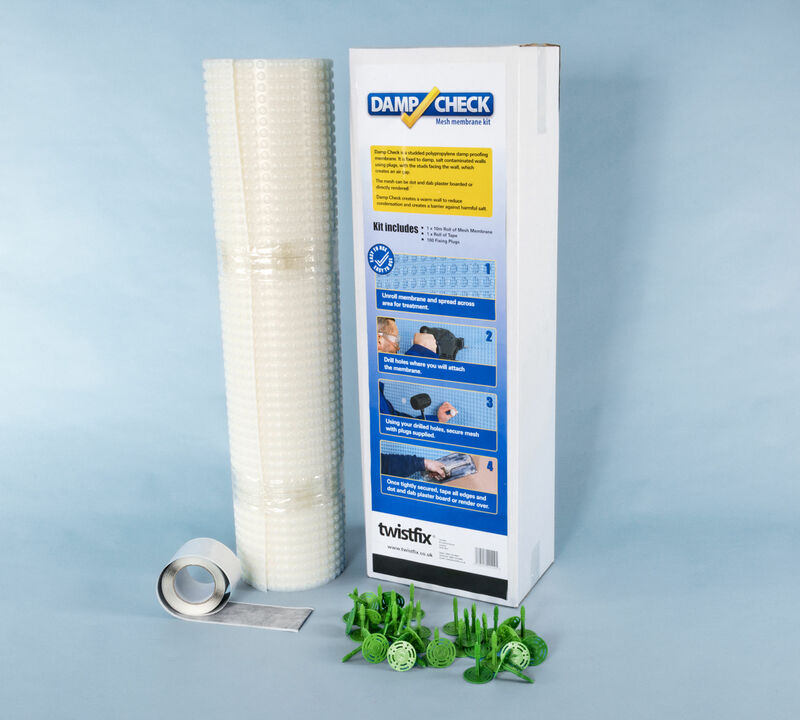 The Damp Check Kit contains 10m of membrane along with 100 hammer-in fixing plugs and 10m of butyl rubber wa­­ter­­pro­­ofi­­ng tape, everything you need to start, get on with and complete the job to a professional standard.